This product is an outcome of my encounter with Oman’s, high quality, Frankincense. 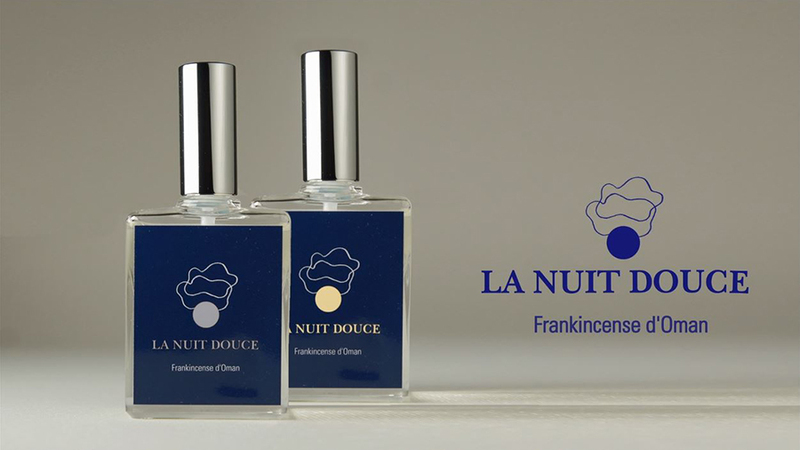 “LA NUIT DOUCE” means “a silent night” which is known as a vital factor for beauty, from the days of Cleopatra. From this time, Frankincense was extravagantly used as an essential oil because of its mystic scent. Representative Director of Interbrain Kabushikigaisha. From 1978 studied phytotherapy and aromatherapy, as well as studied under Albert Argaud (Perfumer, Coty Cosmetics). From 1981 studied under Madame Tiphaigne who is known as the successor of Jean Valnet “The Father of Aromatherapy”. In 2001, recognized as the one and only successor in Japan. Since then produced cosmetic lines centered around aromatherapy. In 2011 collaborated with the cosmetic line AWAKE” (Kose Cosmetics) and launched the “Aroma Essential Repair” line. Author of “Aromatic Life”. Currently participating in the development of Spa’s in Japan as in hotels around the world. Frankincense, also called olibanum is an aromatic resin collected from the Boswellia tree of the Burseraceae family. When the bark is scraped, a milky-white sap is secreted and collected. The main characteristic of the mystical fragrance of the Frankincense is the spicy scent from the tree and flowers, hidden within the richness. It incorporates an abundant amount of Pinene, a perfume component, which is perfect for creating an essential oil of high quality. 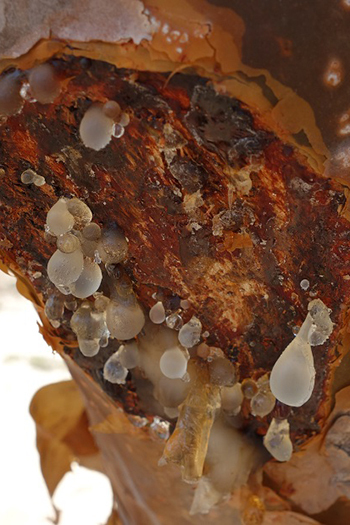 It is stated that the use of Frankincense is dated back more than 5000 years. Not only is it known to be one of the three gifts that the wise men gave to baby Jesus, but it is also known to be used for medicinal purposes as well as for beauty. It is also said that the Frankincense that Cleopatra and the Queen of Sheba used was from Oman. The Boswellia tree can be found in the Middle Eastern region such as Oman or Yemen, as well as the African Continents such as Ethiopia, Kenya, and Somalia, and parts of India. However, each tree’s sap has different characteristics in color, and fragrance. It’s been known, through the years, that the Frankincense from Oman is the highest in quality and was the center of trade back then. 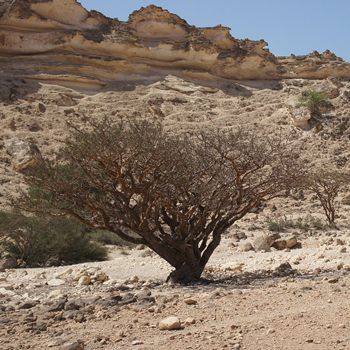 Among the Omani Frankincense, the ones collected in the Dhofar region’s (Southern Oman) desert of high altitude were called “Hojari” and it was said to be used as an oral drug. “LA NUIT DOUCE” was created using the best “Hojari” collected only for this product, in the middle of the scorching hot desert. Using the process of steam distillation, a mere 8ml of essential oil was taken from 2kg of sap, which makes it that much more precious. Frankincense is known for its beauty effect such tightening of the skin, and prevention of wrinkles and sagging, due to the usage of the natural oils of the plant. 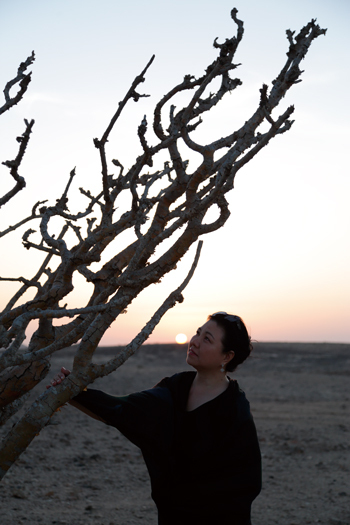 It is said that the reason why the Bedouins, who collect Frankincense in the scorching desert, only have a small amount of wrinkles because of the beauty effect from the Frankincense. It is known that Frankincense has anti-inflammatory effect as well as the power to restore skin damaged from the UV-rays. The fragrance of the Frankincense also has the power to relieve anxiety and stress, as well suppress the feeling of excitement with its sedative effect. It has the effect of relieving everyday stress as well as sooth the symptoms of menopause. It is also known that Frankincense has the ability to improve lung related issues from cold, asthma, and bronchitis.